Sheffield is a city in South Yorkshire in the North of England. Sheffield is a multicultural city with a rich heritage of theatre, museums and galleries. Over 60% of Sheffield’s entire area is green space and a third of the city lies within the Peak District National Park. Sheffield is about one and a half hour’s drive, just over 70 miles, from the coast. Sheffield is just over one hour’s drive, or one hour and fifteen minute’s train journey time from Manchester airport, which is one of the UK’s major international airports providing flights to Dubai, New York, Paris and Singapore and more than 200 other destinations. Road and rail links are good and Sheffield is 167 miles from London. Sheffield’s lowest average temperature is -.5 degrees in January and its highest average temperature is 21 degrees in July. The University of Sheffield is a research university. 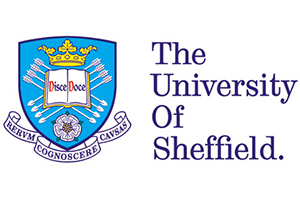 The University of Sheffield was formed by the merger of three colleges. In 1828 the Sheffield School of Medicine was founded. In 1879 the Firth College, to teach arts and science subject and the Sheffield Technical School which opened in 1884. The Sheffield Technical School was the product of local concern about the need for better technical training of the men responsible for running the great industries of Sheffield, particularly steelmaking. These three institutions merged in 1897 as the University College of Sheffield. In 1905 the University College received its Royal Charter and became the University of Sheffield. Most University buildings are within walking distance from each other and the campus is a very short walk from the city centre. The two out-of-town accommodation locations are both 20-25 minutes walk from the city and academic buildings along major thoroughfares and there is a frequent bus service. The University of Sheffield has a 24/7 Security Services team and there is a Campus Police Officer with particular responsibility for the welfare and safety of students. University of Sheffield is ranked 106th in the Times Higher Education rankings, it is ranked between 101-150 in the Shanghai Jaio Tong rankings. Sheffield university is a member of the Russell Group of universities. University of Sheffield is ranked =51st in the National Student Survey Satisfaction rankings. Sheffield has a approximately 5,000 international students from more than 125 countries representing about 19% of all students. Pathway entry for international students-there are 2 organisations offering routes into degree course entry at Sheffield. Sheffield has approximately 26,000 students. 17,000 are undergraduates and 9,000 are postgraduates. 93.9% of Sheffield university graduates enter directly into work, further study or training within 6 months of graduation (source:HESA). A breakdown of post graduation employment by course, showing the split into professional/managerial positions, rather than general employment figures, is available from Unistats an independent source of university data. For more information, please visit the REF Information page. The University of Sheffield has more than 250 societies and clubs; these include economics, dance, music, faith groups and sports. The sports facilities have recently been upgraded. There is a high-tech gym, a 33-metre swimming pool, 45 acres of outdoor pitches, tennis, climbing wall, squash and badminton courts. Sheffield has three accommodation locations – Endcliffe, Ranmoor and City – offering a range of room types for undergraduate and postgraduate students. The lowest price for a single room with shared bathroom and kitchen facilities is £101.85 per week. An example price for catered accommodation is £186.45 at Stephenson. 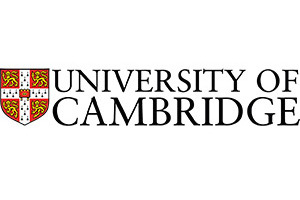 Fees for full time undergraduate courses start at £17,600 for Arts & Humanities subjects such as History, rising to £22,600 for Laboratory subjects such as Biomedical sciences, other Science and Engineering degrees. The University of Sheffield offers distance learning options across more than 30 courses at Certificate, Diploma, PGCE, and Masters level. Subjects include Statistics, Public Health and World Music Studies.